It is an entity which begins its journey sourcing a target market in the tech industry and spends day and night pursuing that market to the best of its ability. It brings in resources to help meet the key requirements of the target market; some of those resources are costly, and others not so much. Occasionally it hits a bump in the road with funding and potentially needs to find other sources of investment, and may go through several rounds of funding over the course of a number of years. Eventually it gets to a point where the product is of a decent quality and market value. Then it does a market analysis and discovers that the market has shifted and if the entity does not pivot or indeed re-skill, they will become irrelevant within a few short years. I am of course talking about the career of an IT professional. Though I may be slightly exaggerating on the becoming irrelevant quite so fast, we certainly all made the choice to follow a career in one of the fastest moving industries on the planet. We have no choice but to continue to develop and maintain our knowledge, in order to keep driving our careers forward. As a self-confessed virtual server hugger with a penchant for maintaining a pretty reasonable home lab, I enjoy understanding the detailed elements of a technology, how they interact, and acknowledging where the potential pitfalls are. The cloud, however, is largely obfuscated in this respect; to the point where many cloud companies will not even divulge the location of their data centres, never mind the equipment inside them and configuration thereof! That said, those of you with a keen eye may have noticed a shift in my twitter stream in the past year or so, with subjects tending towards a more public cloudy outlook… Talking to a huge range of customers in various verticals on a regular basis, it feels to me that a great many organisations are right on the tipping point between their current on-premises / dedicated managed services deployment models, and full public cloud adoption (or at the very least hybrid!). 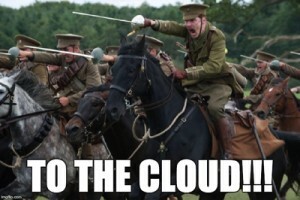 It’s hard to believe that companies like AWS have actually been living and breathing public cloud for over ten years already; that’s almost as long as my entire career! In that time they have grown from niche players selling a bit of object storage, to the Behemoth-aaS they are today. To a greater or lesser extent (and for better or worse! ), they are now the yardstick upon which many cloud and non-cloud services are measured. This is also particularly the case when it comes to cost, much to the chagrin of many across the industry! To me, this feels like the optimum time for engineers and architects across our industry (most definitely including myself) to fully embrace public and hybrid cloud design patterns. My development has pivoted predominantly towards technologies which are either native to, or which support public cloud solutions. Between family commitments, work, etc, we have precious little time to spend in personal development, so we need to spend it where we think we will get the most ROI! Instead of messing about with my vSphere lab of an evening, I have spent recent months working towards certified status in AWS, Azure, and soon, GCP. This has really been an eye opener for me around the possibilities of designs which can be achieved on the current public cloud platforms; never mind the huge quantity of features these players are likely to release in the coming 12 months, or the many more after that. Don’t get me wrong, of course, everything is not perfect in the land of milk and honey! 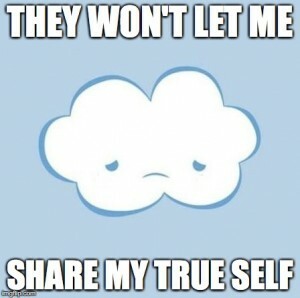 I have learned as much in these past months about workloads and solutions which are NOT appropriate for the public cloud, as I have about solutions which are! Indeed, I have recently produced a series of posts covering some of the more interesting AWS gotchas, and some potential workarounds for them. I will be following up with something similar for Azure in the coming months. Taking AWS as an example, something which strikes me is that many of the features are not 100% perfect and don’t have every feature and nerd knob under the sun available. Most seem to have been designed to meet the 80/20 rule and are generally good enough to meet the majority of design requirements more than adequately. If you want to meet a corner use case or a very specific requirement, then maybe you need to go beyond native public cloud tooling. Perhaps the same could be said about the mythical Full Stack Engineer? Anyhow, that’s enough rambling from me… By no means does this kind of pivot imply that everything we as infrastructure folks have learned to date has been wasted. 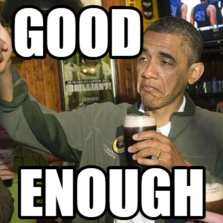 Indeed I personally have no intention to drop “on premises” skills and stop designing managed dedicated solutions. For the foreseeable future there will likely be a huge number of appropriate use cases, but in many, if not most cases I am being engaged to look at new solutions with a publicly cloudy mindset! 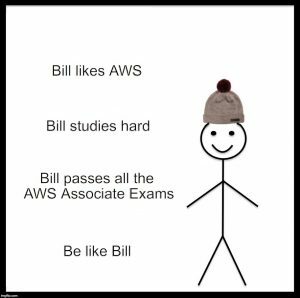 Following on from my previous AWS exam experience post for the AWS Certified SysOps Administrator Associate (CSOA) exam from Amazon, the following describes the study materials I used towards the AWS Certified SysOps Administrator Associate exam. As a reminder, this is my third AWS exam, having completed the AWS Certified Solution Architect Associate and AWS Certified Developer Associate exams earlier in the year. As such the materials I used to study towards the AWS Certified SysOps Administrator Associate exam are more sparse, due to the level of knowledge I already have. ACloud.Guru AWS Certified SysOps Administrator Associate training course. The course has around about 9 hours or so of content, but I would say it took me 15-20 hours in total between all of the lab work, coming up with my own scenarios to practice configuring different elements, completing the quizzes, and researching any areas where I got a quiz answer incorrect or wasn’t sure of the reasons for a specific answer. Ryan also speaks quite slowly and very clearly, so I find that watching it at 1.5x speed or above can help get through the videos on the areas you know well already. 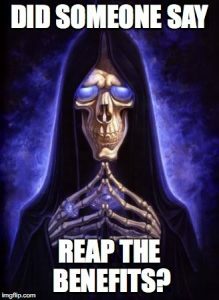 Remember to slow it back down for new content areas of course! Myself and a number of colleagues completed both of the 3 day architecting courses (standard and advanced) in a rather intense, but very informative 5 day week! This was an awesome course, and really helped my gain breadth and depth of knowledge, but I would not say it was critical to passing the SysOps Administrator exam itself. The information bellow covers my experience for the AWS Certified SysOps Administrator Associate (CSOA) exam from Amazon. Following this I will post a list of my study materials, so keep checking back for updates or check out my Index of AWS Posts. Before you continue reading, I would first note that this is my third AWS exam, having completed the AWS Certified Solution Architect Associate and AWS Certified Developer Associate exam earlier this year. The associate trifecta! As such the materials I used to study towards the exam are more sparse, due to the level of knowledge I already have. Along with a number of tips, tricks and gotchas I have posted over the past few months. I also did a podcast recently with Scott Lowe on the subject of learning AWS. If you are new to AWS, I highly recommend you check it out! 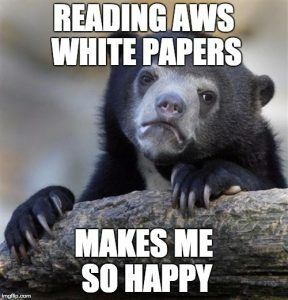 Almost everything I read in the run up to taking the AWS Certified SysOps Administrator, suggested that it was going to be really hard and a step up from the Solution Architect exam. My personal experience when I took it in December 2016 was that it was really on a par with the SA exam, and the reputation was perhaps a tad overblown. This could be for one of several reasons; I’ve been doing AWS designs for several months now at work; this is the third AWS exam I’ve taken; or the exam has become marginally easier now that they seem to have removed some of the older EC2 Classic questions ad brought it a little more up to date. I suspect the latter is the most likely reason, but with some benefit from the former! 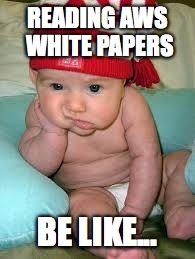 Based on my experience of the exams so far, I think I would definitely recommend the order people approach these as Solution Architect first to give you a thorough grounding in all of the products, then the Developer as it was fairly easy and just broadened your knowledge, finally followed by SysOps. As I have previously mentioned, AWS seem to structure their exams with some general questions across their portfolio, then specific technologies taking precedence in each. 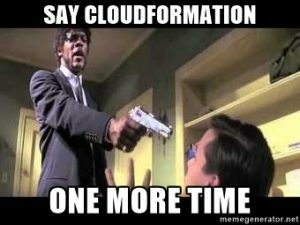 The SysOps seemed to me to be about two-thirds of the Solution Architect exam again, with the last third having more of a focus on CloudWatch and CloudFormation. If you have already passed the SA exam, you should have no issues with this content, though the remaining questions I had were a touch trickier, as they were fairly in depth / specific. The exam itself is the same length as the other associate ones, at 80 minutes and 55 questions. Again AWS (as is their way) do some odd things like not giving you a passing grade requirement, but it’s generally safe to assume that if you get 70% or more, in the Certified SysOps Administrator Associate exam then you will pass. The Kryterion exam environment is frankly pretty dated, but I already wrote about that in the CSA guide here, so I won’t repeat myself again! Suffice to say, read the other article for a detailed overview.